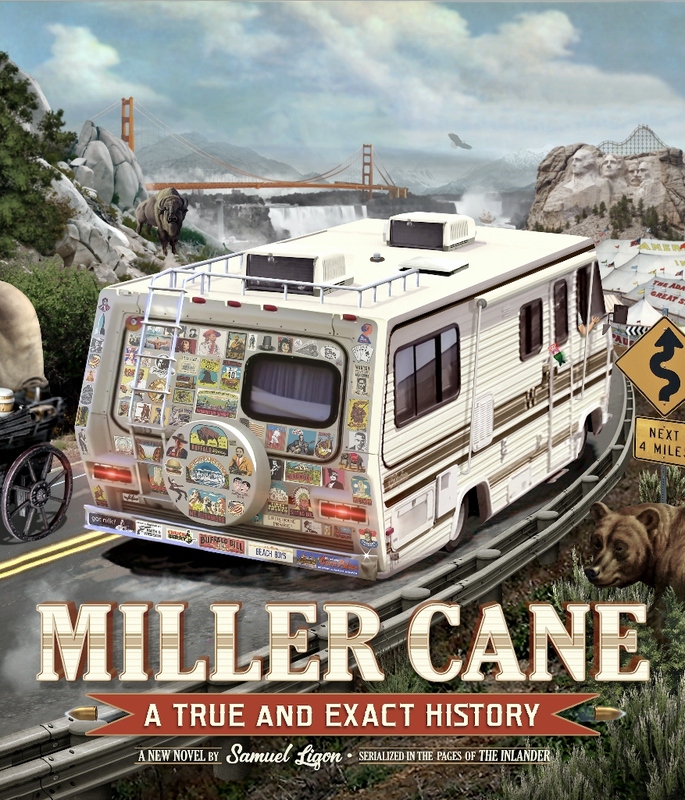 Samuel Ligon is currently writing and publishing a serial novel—Miller Cane: A True & Exact History—which will appear in fifty installments in Spokane’s weekly newspaper, The Inlander, as well as online, on Spokane Public Radio, and as a podcast. Ligon is the author of four previous books of fiction, including two novels—Among the Dead and Dreaming and Safe in Heaven Dead—and two collections of stories, Wonderland, illustrated by Stephen Knezovich, and Drift and Swerve. Ligon is co-editor, with Kate Lebo, of Pie & Whiskey: Writers Under the Influence of Butter and Booze. His stories have appeared in Georgia Review, Prairie Schooner, New England Review, and elsewhere. His essays appear in the Inlander. He teaches at Eastern Washington University in Spokane, and is Artistic Director of the Port Townsend Writers’ Conference. A serial novel appearing in the pages of Spokane’s weekly newspaper The Inlander, starting September 13, 2018, and ending late 2019. A fraudulent historian who makes his living conning the victims of mass shootings returns home to save the young daughter of the woman he loves, taking her with him on his roadshow across the worn out heart of America, staying one step ahead of what’s after them.